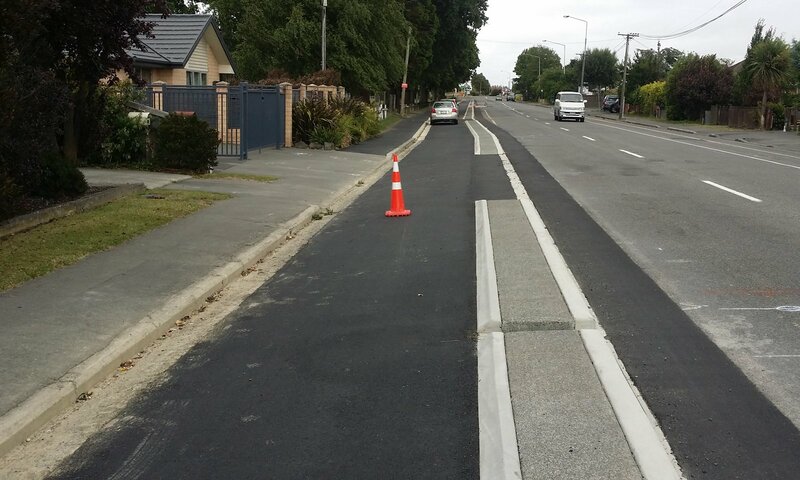 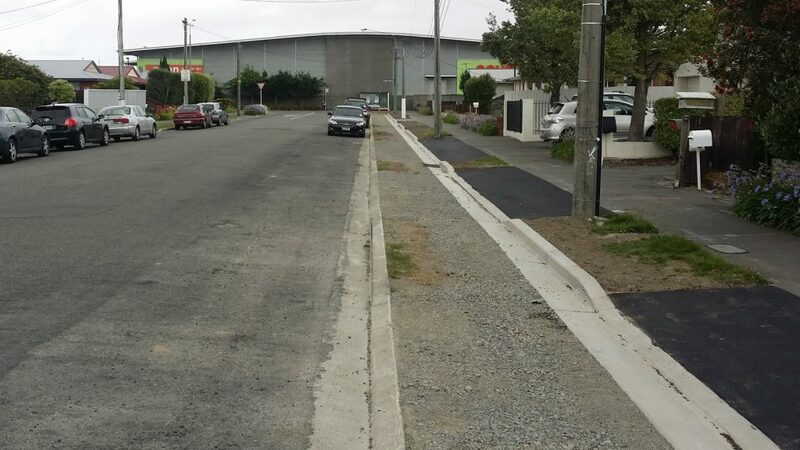 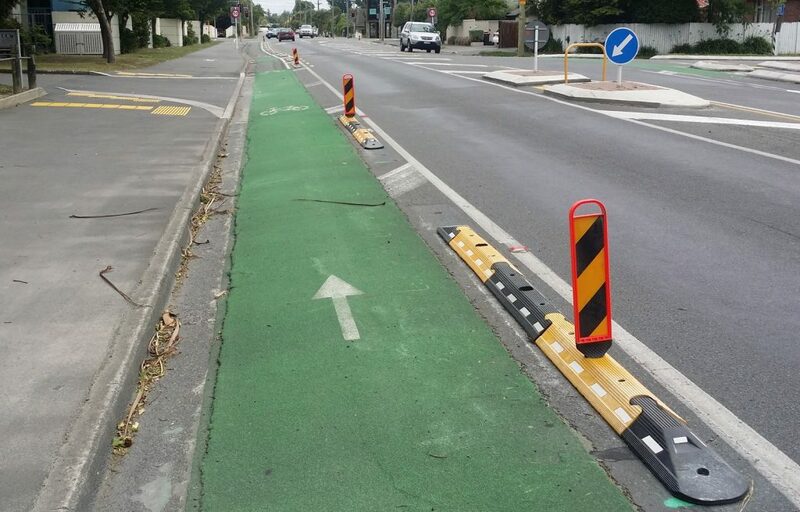 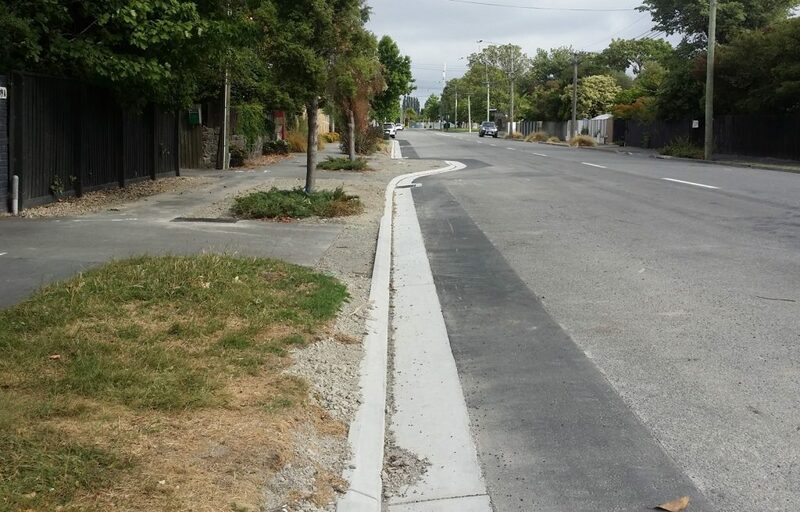 Papanui Parallel: Most of the action so far is north of Main North Rd where the separated cycleway is nearly completed – not completed enough to stop people parking in it still… There is also some new kerbing work starting along Grassmere and Rutland Sts ahead of the new cycleways going in. 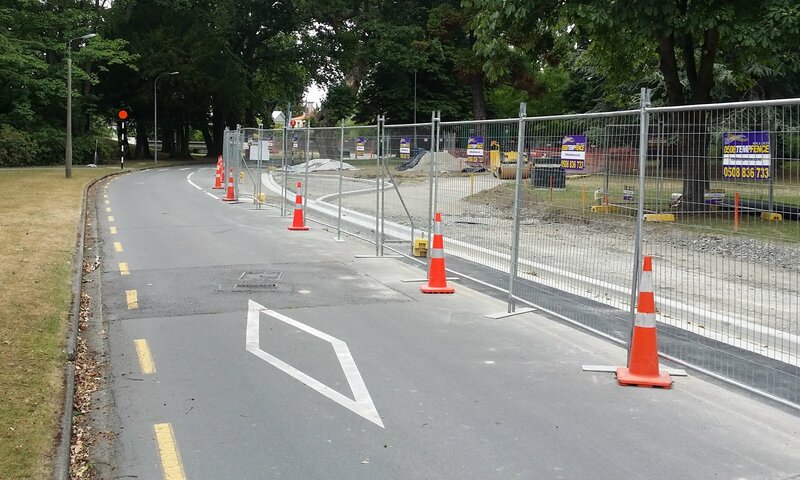 Little River Link: The main piece of completed work is the new pathway along the Brougham St off-ramp between Collins St and Barrington St; this will provide a very handy missing link. 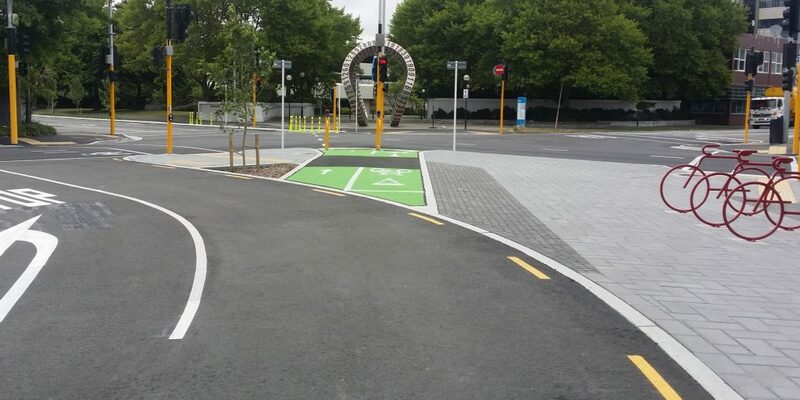 North of here, the separated cycleway along Collins St is also getting constructed up to and around Church Square. 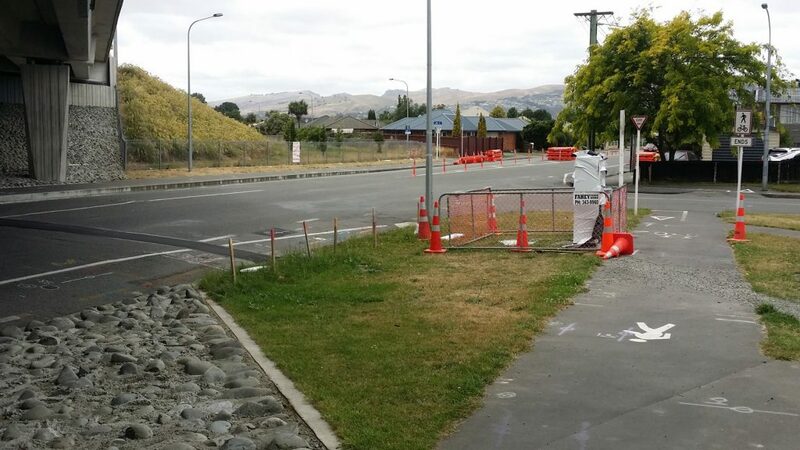 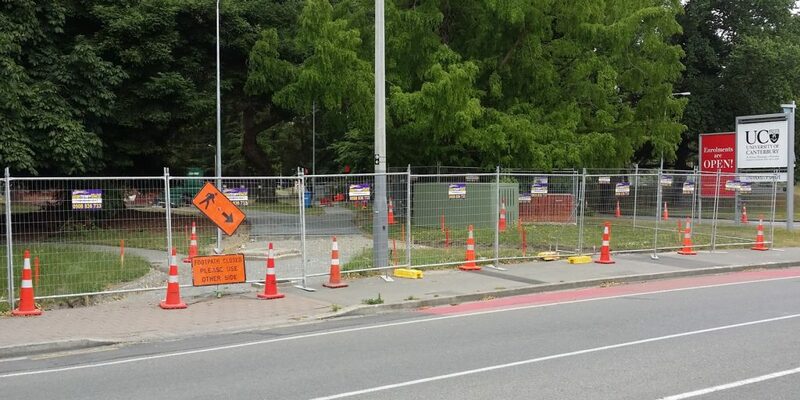 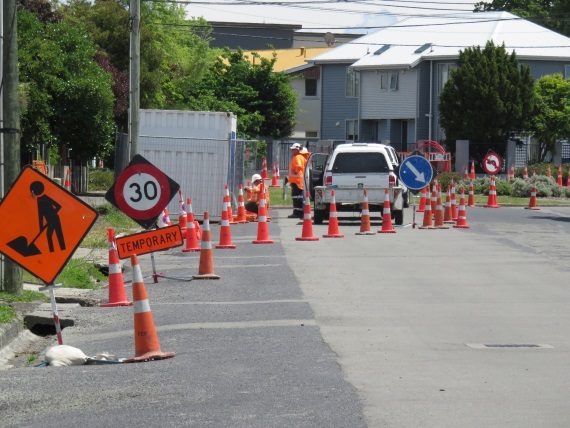 Preparations are also being made for the signalised crossings at Wrights Rd and Barrington St.
Rapanui/Shag Rock Stage 1: Not as much progress on this project as planned, due to delays around an underground cable. 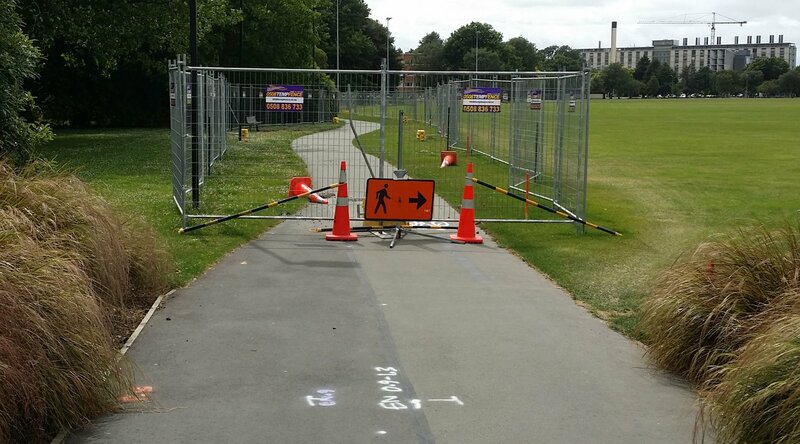 But the pathway in Linwood Park is largely complete (no photos unfortunately), and there is evidence elsewhere of preparation works, e.g. 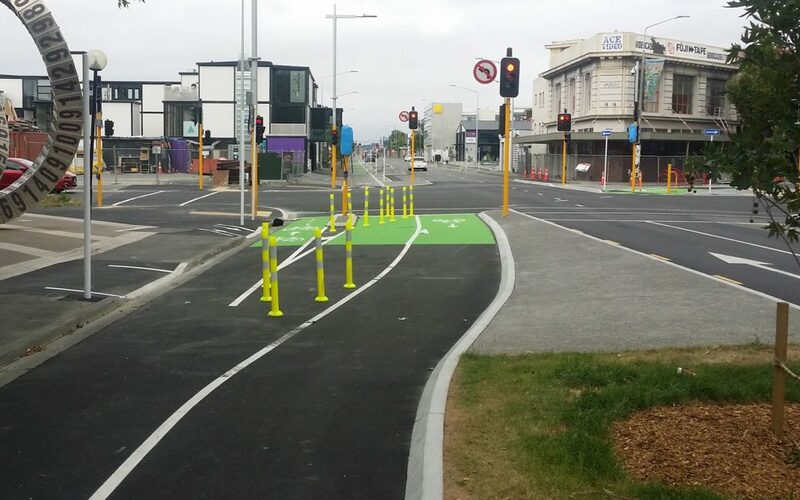 along England St.
It’s great to see so many cycleways taking shape around the city. 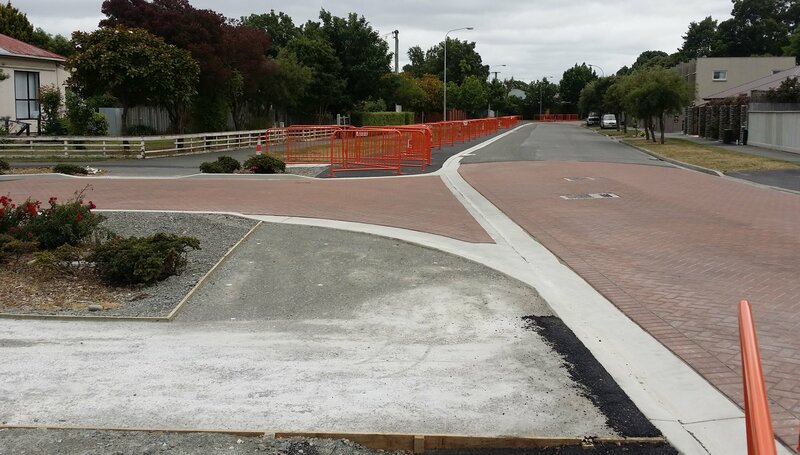 You can keep track of their progress on the City Council website, where further construction photos are being posted. 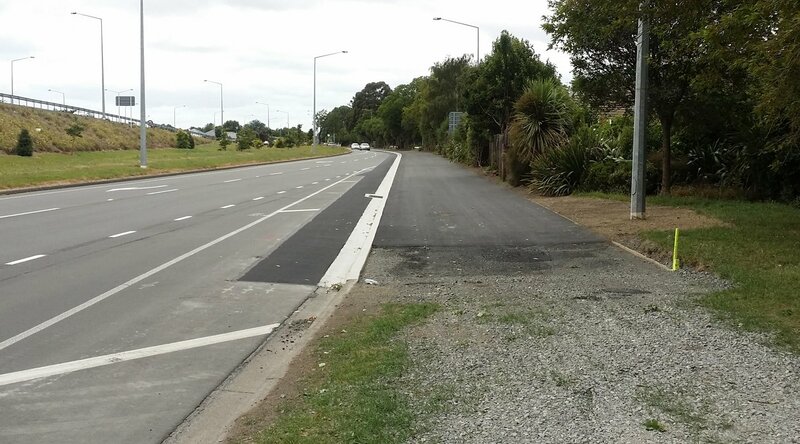 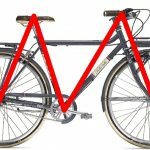 Have you noticed the new cycleway construction around town? 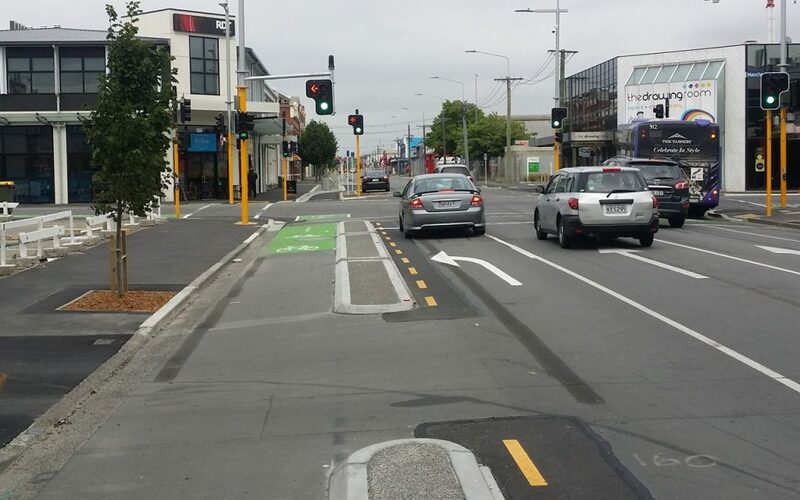 What was wrong with the concrete separators on Ilam Road?